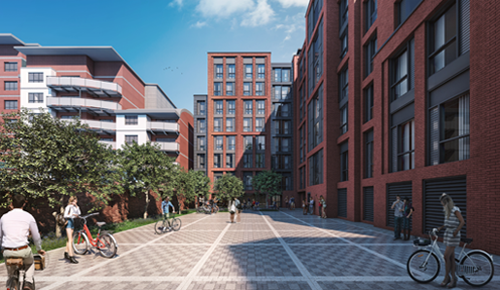 Jansons Property have submitted a planning application for a superb new student residential development comprising 182 bedrooms plus amenities at Alexander House in Reading. Located close to Reading Town Centre, the building will offer students easy access to both Reading College and the University of Reading. The town centre is less than ten minutes’ walk away, whilst the railway station and bus routes are readily accessible for students. The design process and building approach focus on improving the streetscape to King’s Road and Rupert Street, paying close attention to style and materials. 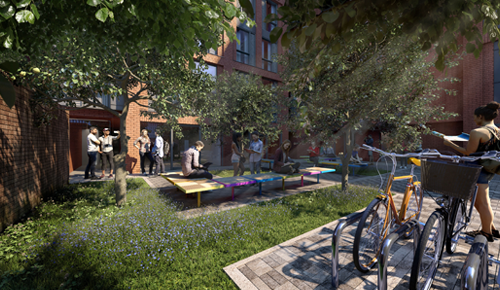 The students will have a fabulous facility to live in with excellent on-site managed facilities. The site was purchased from Investra on a subject to planning basis and Jansons have worked closely with Barton Willmore (Planning) and Broadway Malyan (Architechture) to produce a fabulous new scheme. This is Jansons Property’s third student housing project following developments in Chester and Durham. All three locations collectively deliver 780 rooms and we are actively seeking further opportunities of this nature. Jansons is now firmly established in the student accommodation sector which compliments the successful schemes we deliver in the hotel sector. We continue to look for sites throughout the UK which meet both uses and remain happy to consider mixed use.